Fall down, get up. Fall down when you ride. Amusing video clip from the motorcycle movie On Any Sunday. Steve McQueen, Mert Lawwill and Malcolm Smith having a bit of fun on dirt bikes. I used to work with a guy at a bike/boat shop who raced MX on weekends. Crazy. He insisted that if you didn't crash a few times when practicing that you weren't trying hard enough. 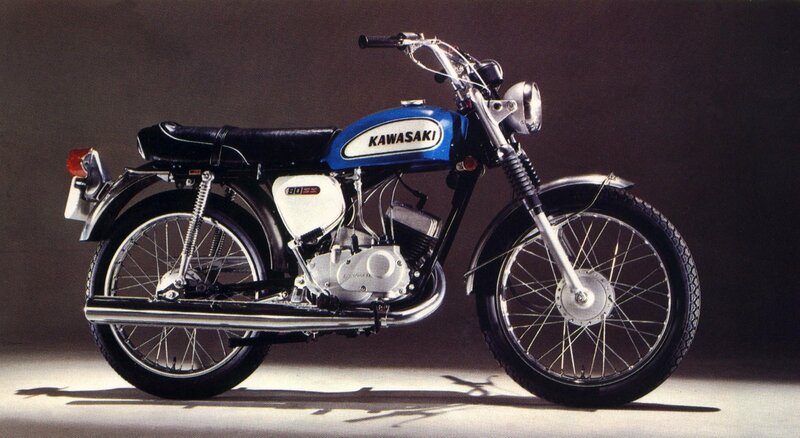 He actually liked the brutal power of the Suzuki 400 MX bike (circa 1973). But what with those tabs on the helmet brims.?! I broke my leg in 3 places, he had his right hand almost torn off. Ah - to be Young ! But I have to admit in my experience falling down hurts - at least sometimes. the motorcycle movie On Any Sunday. Steve McQueen, Mert Lawwill and Malcolm Smith having a bit of fun on dirt bikes. I even have a VHS version here! I highly recommend anyone who has never seen it, to watch it! Especially if you like the old stuff. The flat track scenes are just awesome. Truly when men were men. That is how I learned to ride. Scare the ---- out of yourself, live and learn ! And how many friend did you have to crashed and didn't stand up again. I had a few - and I still remember how they died. So did I but I didn't have desert down the road looks fun but easy we only had forest trail paths with lots of trees, sometimes a mistake and you'd make an unwanted trail and maybe get lucky and miss a tree. I learnt on one of these. 1968. On the Street. Used to go play in gravel pits the odd time, but no ground clearance or knobbies. My younger brother collided with another guy who was going the wrong way around a MX track on a practice day. I don't know how many breaks, but he spent about a month in the hospital in traction. They had to lap the bone(s) and he lost a kneecap. The leg is a lot shorter than the good one now. He must have been about 12-13 years old or so. The impact broke one of the fork sliders on his Montesa 125. An 80 year old man went to the doctor for a check-up and the doctor was amazed at what good shape the guy was in. The doctor asked, "To what do you attribute your good health?" "I'm a dirt biker and that's why I'm in such good shape. I'm up well before daylight on Sundays and out sliding around corners, shootin' sand washes and riding up and down the steepest, gnarliest hills I can find at the crack of dawn." "Well, I'm sure that helps, but there's got to be more to it. How old was your dad when he died?" "Who said my dad's dead?" "You mean you're 80 years old and your dad's still alive? How old is he?" "He's 99 years old and, in fact, he went riding with me this Sunday, and that's why he's still alive... he's a dirt biker." "Well, that's great, but I'm sure there's more to it. How about your dad's dad? How old was he when he died?" "Who said my grandpa's dead?" "You mean you're 80 years old and your grandfather's still living! How old is he?" The doctor was getting frustrated at this point and said, "I guess he went dirt bikin' with you this Sunday too?" The old timer said, "No... Grandpa couldn't go this week because he got married." "Got married!! Good Lord!!! Why would a 117-year-old guy want to get married?" 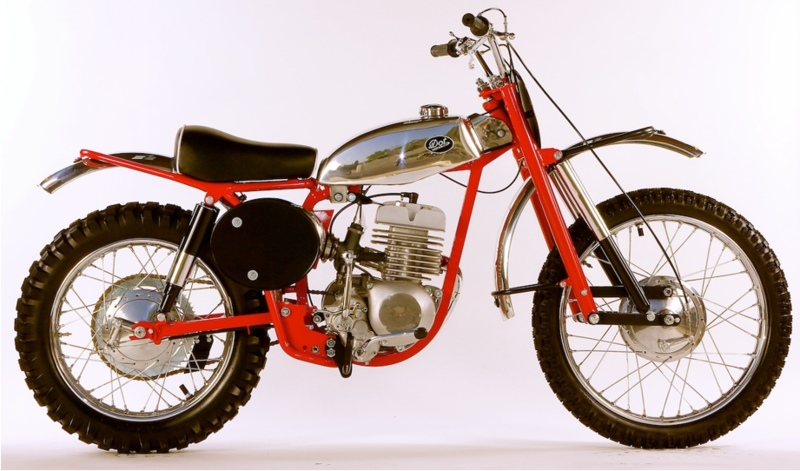 And a '64 DOT Demon 250 for good measure. The art of falling down.